Long-haul low-cost carrier Air Italy has put on sale another destination in Africa from their main hub at Milan Malpensa airport. Direct flights to Accra, capital and the largest city of Ghana, are now available from €297. Note that there is no checked luggage in base fare otherwise price shown is for a round-trip including all taxes. Some of the flights may have short stop in Lagos on your inbound. (See below our non-stop solution in both directions). If you are looking for straight way to explore this African country this is perfect opportunity for anyone who can easily reach Milan..
We highly recommend to check visa & entry Requirements as well as mandatory vaccination before you book this deal to Nigeria. Air Italy offer the cheapest flights from Milan to Accra when traveling from March to beginning of July 2019. You can book some affordable accommodation in Accra through Hotels.com or Booking.com. 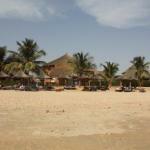 Booking sample of Cheap direct flights from Milan to Accra, Ghana from €297! in this case you would depart from Italy to Ghana on Saturday, 13th of April. Retun from this African country back to Milan Malpensa on 24th of April 2019.